Kia Motors achieved record European sales (494,304 units) and its tenth consecutive year of growth in Europe in 2018, according to new data released today by the ACEA (European Automobile Manufacturers’ Association)*. The full-year sales result represents a 4.7% year-on-year increase for the Korean car manufacturer, pushing the brand’s European market share to an all-time high of 3.2%. In the last decade, Kia’s European sales have more than doubled – in 2008 the brand sold 238,643 units and accounted for 1.6% of all registrations across the continent. 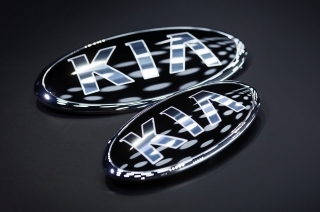 Kia largest European sales market, the UK, contributed another national record amount of sales, posting 95,764 units sold in 2018, accounting for almost 20% (19.2%) of all European sales. The launch of a comprehensive range of crossovers and electrified powertrains in the last two years has added further momentum to Kia’s growth, despite challenging market conditions. Mr Herrera adds: “Legacy vehicles such as the Ceed and Sportage have proven increasingly successful, while the launch of new models and the development of a compelling brand strategy has accelerated our popularity. In recent years, a growing line-up of electrified vehicles, accompanied by cutting-edge in-car technologies, has added further impetus to our growth. Furthermore, buyers are drawn to Kia’s 7-Year, 100,000 mile warranty, which to this day remains unrivalled across the car industry. Sales of Kia’s hybrid, plug-in and electric cars grew by more than a third in 2018 compared to 2017, with 58,029 electrified vehicles sold. Advanced powertrain vehicles now account for almost an eighth (11.7%) of all Kia sales in Europe. The Niro crossover became Kia’s fifth best-selling model in 2018, with sales rising 33.6% to 45,255 units – including 34,642 hybrids and 9,951 plug-in hybrids. The Niro range expanded at the very end of 2018, with the launch of the all-electric e-Niro – 662 of which were sold in select European markets when sales began in December. In its final calendar year on-sale, the all-electric Soul EV saw best-ever sales of 6,402 units (+12.0% year-on-year). For the first time in its history, the EV model also outsold combined sales of gasoline and diesel examples of the Soul. The Optima Plug-in Hybrid – available as a sedan and Sportswagon – saw record sales (4,573 units; +49.1% year-on-year), alongside 1,799 units of the Sportage EcoDynamics+, introduced in summer 2018 and powered by a 48-volt mild-hybrid. 2019 will see the introduction of a series of new Kia mild-hybrid, hybrid and plug-in hybrid models, as well as the launch of the new all-electric Soul. Sales of the new Kia Ceed and Ceed Sportswagon are off to a strong start, with 24,531 registrations across Europe since deliveries commenced in the second half of 2018. Total Ceed sales in 2018 (including the outgoing cee’d model family) totalled 75,479 units, up from 72,105 units in 2017. Sales of the new Ceed GT, Ceed GT Line, and ProCeed start this month, and will strengthen the Ceed’s position in the segment and as the brand’s second best-selling model in Europe, after the Sportage (125,266 units in 2018). The Picanto strengthened its position as Kia’s third best-selling European model following the introduction of the crossover-inspired Picanto X-Line and a 100 ps 1.0-litre T-GDi (turbocharged gasoline direct injection) engine to the line-up. Sales of the Picanto rose 19.3% year-on-year to 75,315 units. Since deliveries began in late 2017, the Kia Stonic compact crossover has also made a strong impression on European customers, with 55,742 units sold last year – making it Kia’s fourth best-selling model in its first year on sale. 2018 was also the first full year of sales for the powerful Stinger fastback sports sedan, with 3,853 units sold in Europe.